Board the Infinity! The innovative card game gets a Halo twist! 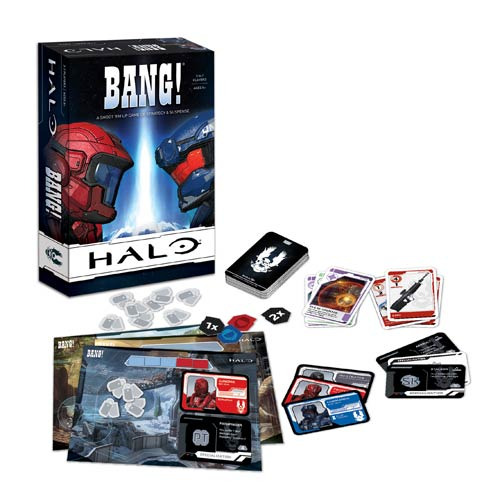 A fun combination of the card game and the Halo first-person shooter video game series, Halo Bang! Game features fast and exciting game play based on the Bang! game system that keeps most games at around 15 to 30 minutes each. Included with the game are a card place mat, tokens, character cards, role cards, and rulebook. Ages 8 and up.